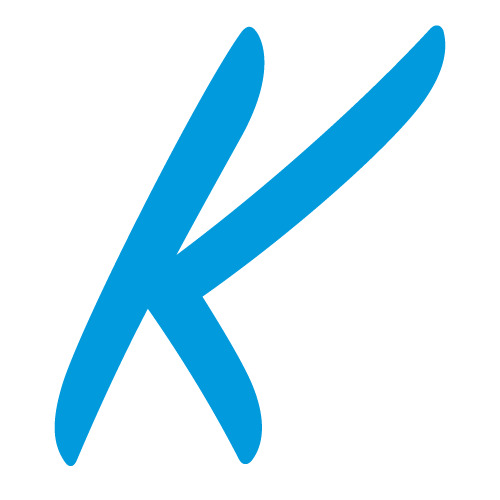 Before you make a purchase, let Kinnek do the hard part. Submit a free request for quotes using the form to the right, and we'll get multiple suppliers to provide you their commercial oven offerings and pricing so that you can compare all your options in one place! There are many different types of commercial ovens out there, but this guide will focus specifically on full-size commercial ovens. When purchasing a full-size oven, there are a number of factors to take into account: floor space, initial costs, maintenance costs, cleaning requirements, ease-of-use, production capacity, gas/electric use and existing kitchen piping/wiring, and, most importantly, whether the oven will help you make food that lives up to your vision. Suppliers do frequently offer customized products, so if you have specific needs that you’d like to be addressed, make sure to speak with multiple suppliers. One of them may offer a customized product that meets your specific needs. Convection ovens are the most common commercial ovens seen today in restaurant kitchens. Convection ovens are the new standard. A well-made convection oven will cook evenly and quickly, and can be effectively used for roasting or baking. If you make a lot of baked goods and do not have a separate oven for that purpose, consider purchasing a specialized bakery convection oven (otherwise, your basic convection oven fans may ruin certain fragile dessert products, such as custards and soufflés). The main benefit of conveyor ovens is the production throughput. Conveyor ovens utilize a very unusual process known as impinging for cooking faster – the conveyor belt moves the food under a set of holes through which extremely hot air is pushed through at high speed, striking the food and cooking it faster. Conveyor oven speed and production are prized among many busy kitchens, and they have become more and more popular at high volume restaurants. Keep in mind, however, that foods with fragile surfaces (soup, desserts, thin layers) may be ruined by the hot air striking the surface, so conveyor ovens are somewhat less versatile than other types of ovens. Though small-sized, accelerated cooking ovens combine three different types of heats (the conveyor oven style impingement, microwave, and convection heating) to speed up cooking. This is the fastest cooking oven type available, which, simultaneously, allows for an increase in cooking volume. Food quality remains high, if not improved in some cases -- many buyers report that food cooked in ACOs are less prone to drying up in the oven. A smaller kitchen with highly time-sensitive customer rush periods would make the most use of this type of oven. These ovens combine a variety of functions: convection cooking (for baking, roasting, and grilling), steam (for boiling and blanching), and radiant heat (for crisping). If your kitchen does make use of all these functions, a combination oven can save you floor space as well as money, since you will only need the one oven in lieu of many different ones. Full-size rotisserie ovens take up a great deal of money and space to serve a very specific function, so you’ll most likely only consider one if your food service establishment is producing a great deal of rotisserie meats. In most cases, a countertop rotisserie will serve your purposes just fine. The problem with full-size rotisserie ovens is their lack of versatility. The internal setup of a rotisserie oven – with rotating spits – means that the oven cannot be easily adapted to cook other foods. Deck ovens are highly praised, popular ovens for any kitchen serving baked goods, especially those serving pizza. Deck ovens contain a flat block that absorbs heat. Food is then placed on top of the heated block, which cooks the food and, if left long enough, adds a satisfying crispiness to the crust. 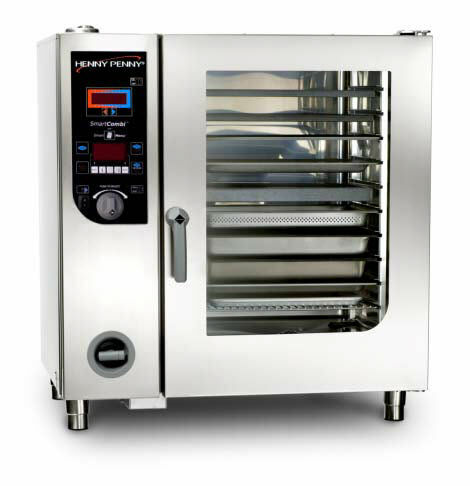 Though deck ovens are most popular among pizzerias, they are seeing uptake in use among bakeries (primarily for breadmaking). The main issue some kitchens have with the deck oven is that it requires a bit of extra care and micromanagement. The heating block can lose heat relatively easily, so some amount of time needs to be allowed between batches to re-heat the block. These ovens are very popular with larger bakeries and some high volume kitchens. Rotating rack ovens are open and spacious enough to roll in full-sized racks of food and baked goods. Employees can also remove individual racks for serving and replace them with ease. Rotating rack ovens are especially useful if your kitchen/bakery is acclimatized to a racking-production-process, as the addition of a rotating rack oven will likely improve kitchen efficiency when introduced. Q: How should I clean my oven/oven racks? A: First, always be sure to clean your oven and the oven racks regularly. Dirty ovens can result in heat-stealing, fire risks, and taste issues. On a day to day basis, you should be cleaning the oven with a detergent, and taking out the oven racks to clean those separately. Make sure to eliminate all spill spots and crumbs, since they can clump up, dry, and present issues over time. Most commercial oven owners do a more thorough cleaning of their ovens about once a month, in which they use prescribed chemicals that your supplier and/or owner's manual should specifically indicate. Q: For a bakery, which is a better investment -- an electric oven or a gas oven? A: At the entry-level, gas and electric ovens each have their own benefits, and your choice will largely be due to preference. Electric ovens work best 'out-of-the-box'. Gas ovens are vented, so they do not retain steam very well, which can make it difficult (if not impossible) to bake certain kinds of breads. Electric ovens, on the other hand, retain steam well since they are not vented, providing you better versatility from the outset. However -- and this is a big however -- if you invest in a commercial gas oven you will be able to get it steam-fitted, so this will overcome the venting issue. This will be an additional cost, but it may be a worthwhile investment. Gas ovens typically have better temperature control. Beware of personal anecdotes regarding the 'dryness' of product baked by gas or electric ovens. Some bakers claim that electric ovens produce drier baked goods, while others claim that gas ovens result in drier goods. There is no objective basis for either of these claims, and anecdotal evidence suggests that there are other factors at play. Q: Are pizza deck ovens useful for cooking other items? A: We specialize in pizza ovens, and I can tell you, we have customers baking bread in them, using them to brown potatoes, cheese and other dishes, using them to bake casseroles and pastas, and even baking fish and cooking meat dishes in them. Remember, the heat in a pizza oven will be much higher than your typical oven, so it's best to use it for items that don't require long cooking times. Q: What is a convection oven, and how is it different from a standard commercial oven? A: Regular ovens have the food coming from one source. This causes uneven baking. The convection oven is a newer technology, in which a fan is placed behind the oven. This causes the heat to circulate evenly thus creating a more perfect dish.